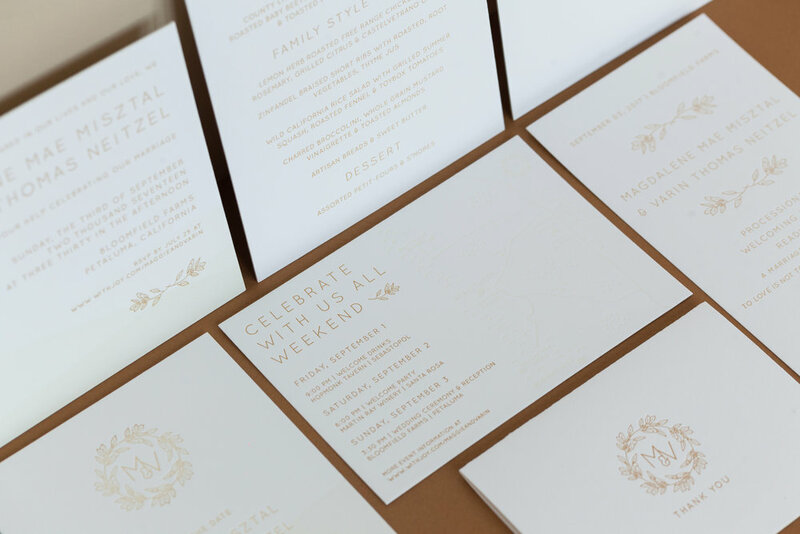 I don't normally take on wedding invitation suite projects because they can be all consuming for me (in the best way), but I couldn't say no when Maggie contacted me with details about her early-autumn Sonoma County wedding. Never has creative vision aligned so well with a client. 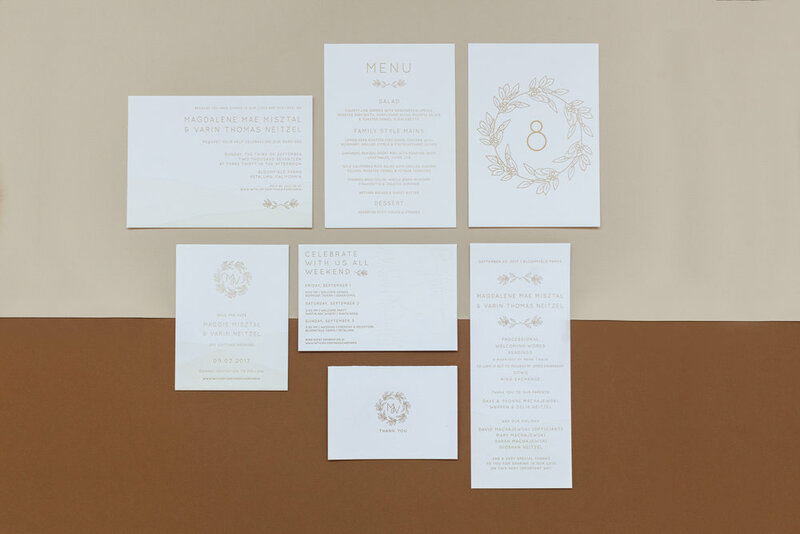 It was such a pleasure to design and print a letterpress suite that evoked the minimalism of the couple; the golden, rolling hills of Petaluma; and the simple, elegant details of the day. Below are some photos of the full suite. It was difficult to capture, but on the main invitation, the program, and the save-the-date, there are layers of hills printed in transparent ink. Like most objects, they are so much more complex up close, in person.